Penske Power Systems has a proud tradition of working with the Australian and New Zealand defence sector to provide customised propulsion and power generation solutions, along with life-of-type logistic support for defence combatants. Boasting diesel engines that deliver power from 75 to 9,000 kW, Penske Power Systems represents some of the most technologically advanced and well-respected brands in the industry, including MTU, MTU Onsite Energy, Detroit, Allison Transmission, and Sauer Compressors, as well as leading lubricant, coolant and filtration brands. Penske Power Systems distributes products that are renowned for their reliability, simple operation, ease of maintenance and low lifecycle costs. They are put to work in a variety of defence applications including destroyers, patrol boats, frigates, high speed interceptors and other maritime platforms, as well as land systems, armoured, and tactical vehicles. 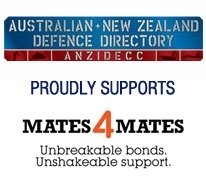 Over 3,200 Detroit, MTU, Allison Transmission, and Sauer Compressor products operate within the Australian and New Zealand defence sectors. This economy of scale has optimised lifecycle costs while maintaining fleet availability, to meet the specialised requirements of these defence forces. With a proven track record of delivering highly specialised and customised solutions for defence operations, we understand the complexities of the defence acquisition and logistic support methodology. Penske Power Systems also provides custom ship automation systems with components including monitoring, fully embedded on-board training, maintenance and battle damage control. We are as proud of our commitment to the defence industry as we are proud of our staff who continually drive our success. Our expert team sets the pace in the industry and is focused on delivering the latest technological innovations and always delivering the highest level of customer service. Through continuous monitoring and evaluation of our systems and procedures, we deliver the highest level of product and service quality available in the market today. Penske Power Systems also meets the most demanding standards of quality management and is certified in ISO 9001, ISO 14001 and AS/NZS 4801. As a member of the Capability Acquisition and Sustainment Group's Maritime Systems Division Key Divisional Supplier program, our professional and technical expertise is benchmarked to provide assurance regarding the maturity and integrity of Penske Power Systems processes and practices. With extensive research and development facilities across Australia and New Zealand, we ensure that our equipment delivers maximum performance, value and reliability, with minimum overall lifecycle cost to our customers.